When a commitment to community development is built into a private-sector business model, the brand can’t be typical. Fresh Cycle Cleaners has a focus on the recruitment and retention of employees who are trained to be business owners. By prioritizing workers who need a “fresh” start, Fresh Cycle is helping others to overcome obstacles that exist in gaining employment. Additional support is donated to local workforce development efforts which helps the communities they serve grow stronger. Doyle Communications developed the creative branding, identity, web and corporate collateral to launch this new business model and advertise the impeccable cleaning and tailoring services they provide for companies and individuals. 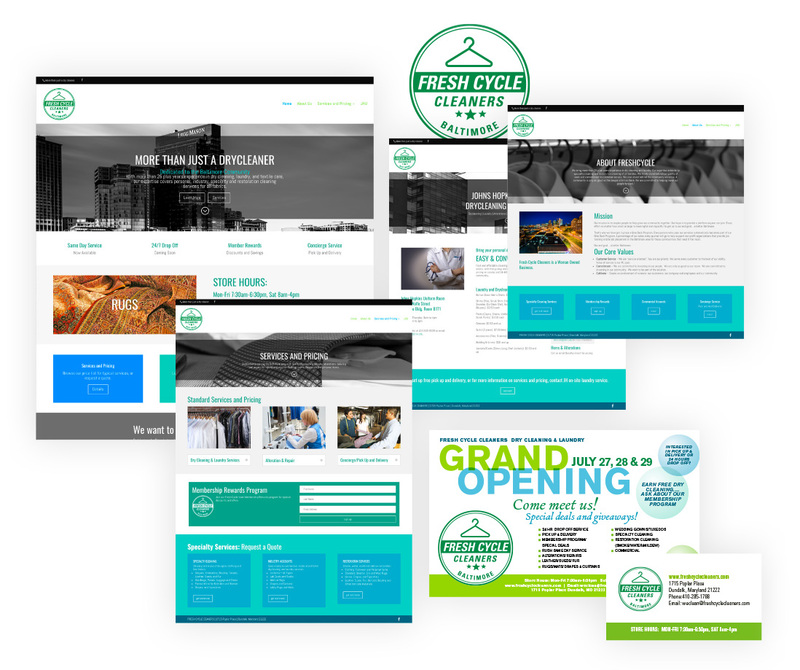 Visit the web site at freshcyclecleaners.com. Media: Web site and collateral.